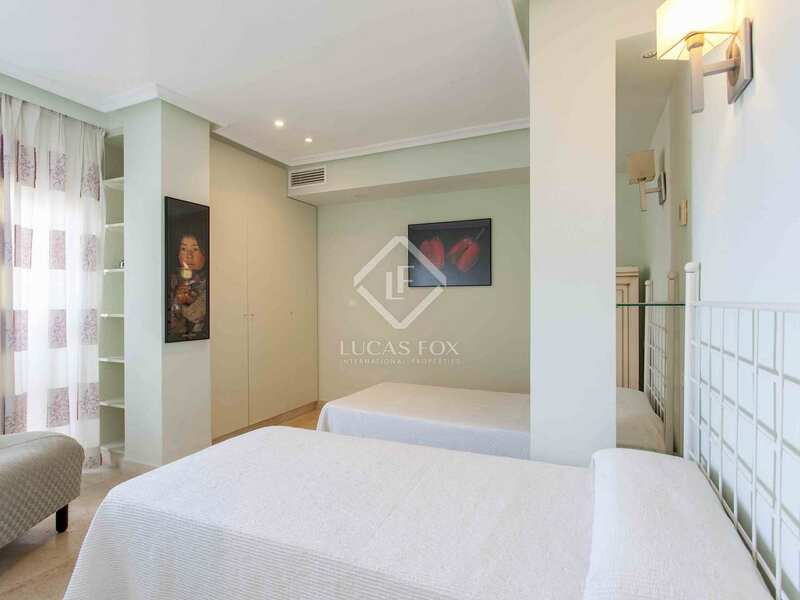 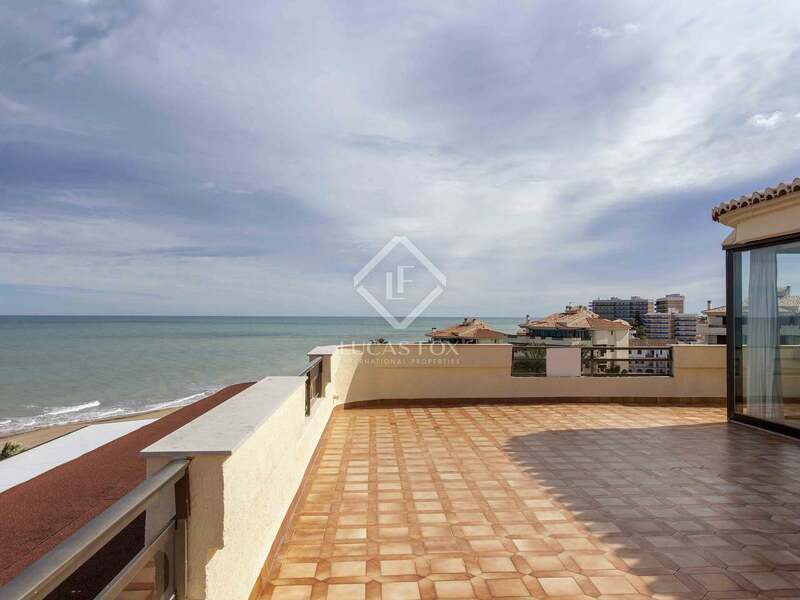 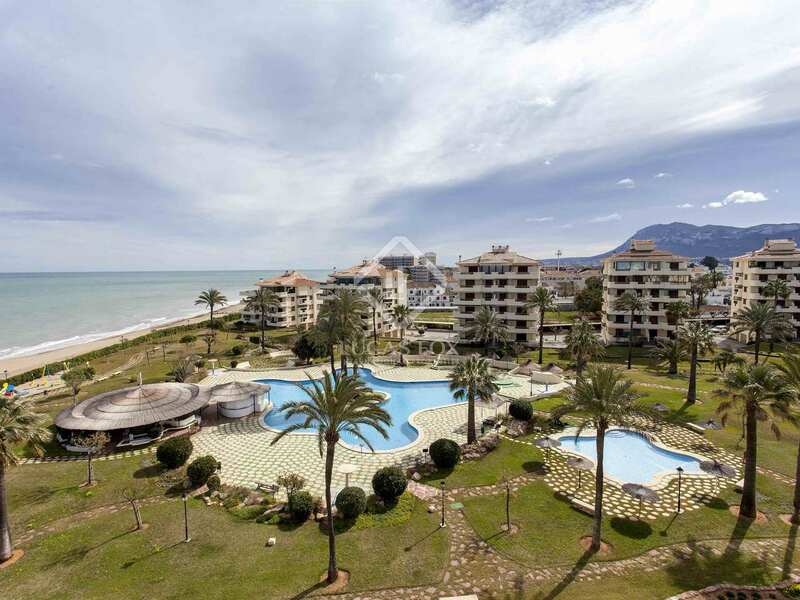 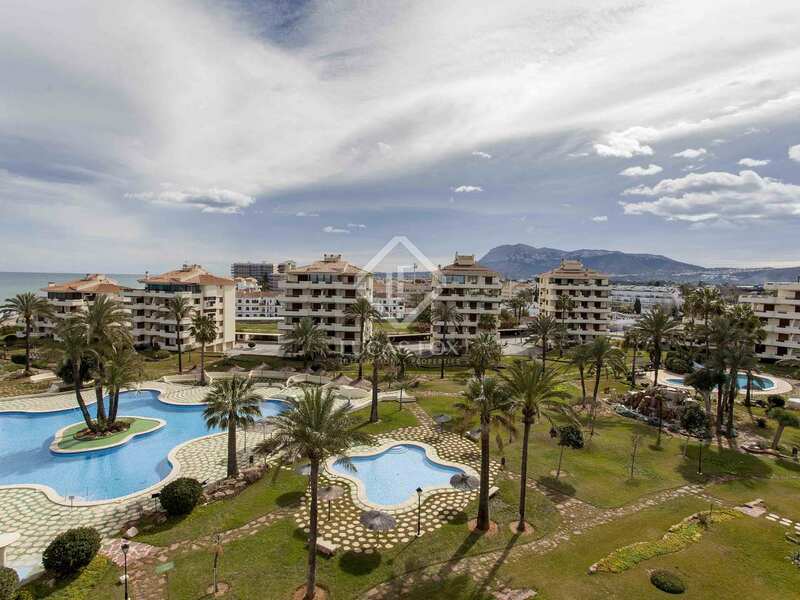 200 m² penthouse located on the seafront on the Las Marinas road. It is located in a very exclusive urbanization, where there are very few opportunities to acquire a property and most homes are used as second residences. 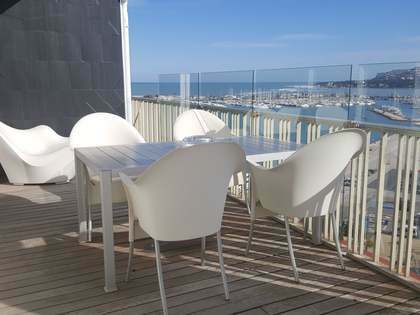 The urbanization has large garden areas, a chiringuito with restaurant service and 3 swimming pools. 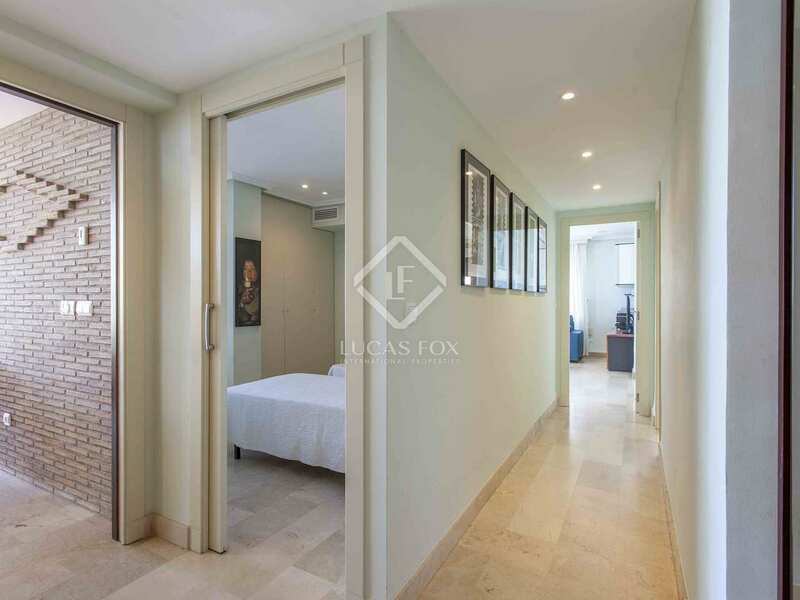 In addition, it has a 24-hour concierge service and a parking area in an enclosed zone guarded by security cameras. 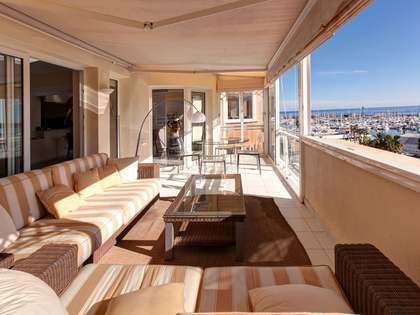 The penthouse is accessed by a lift. 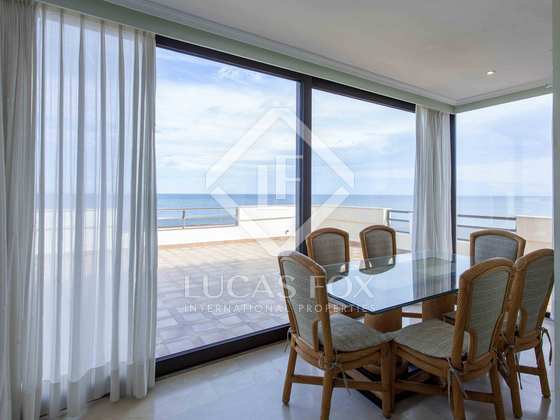 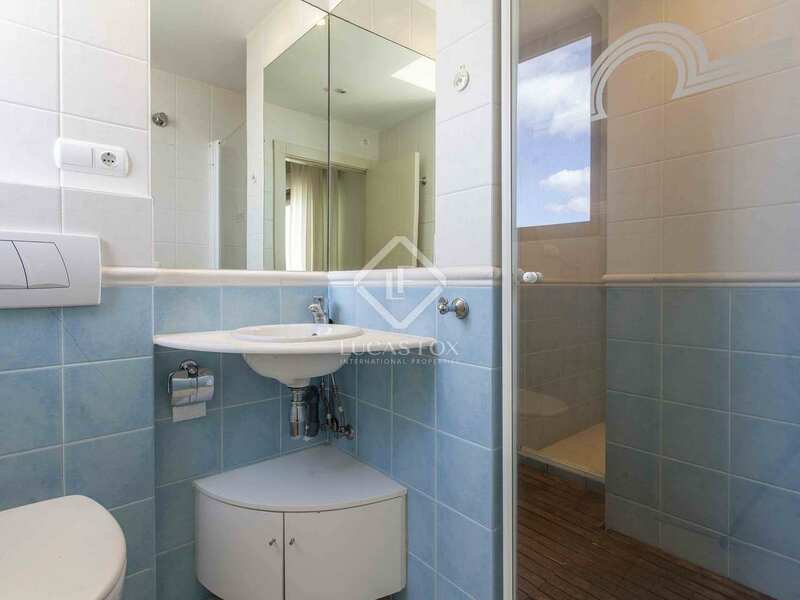 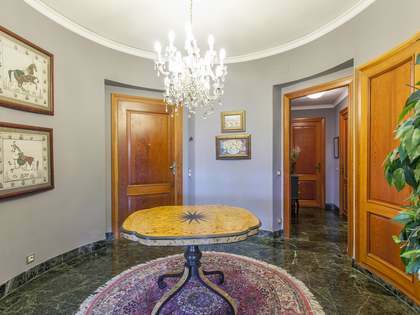 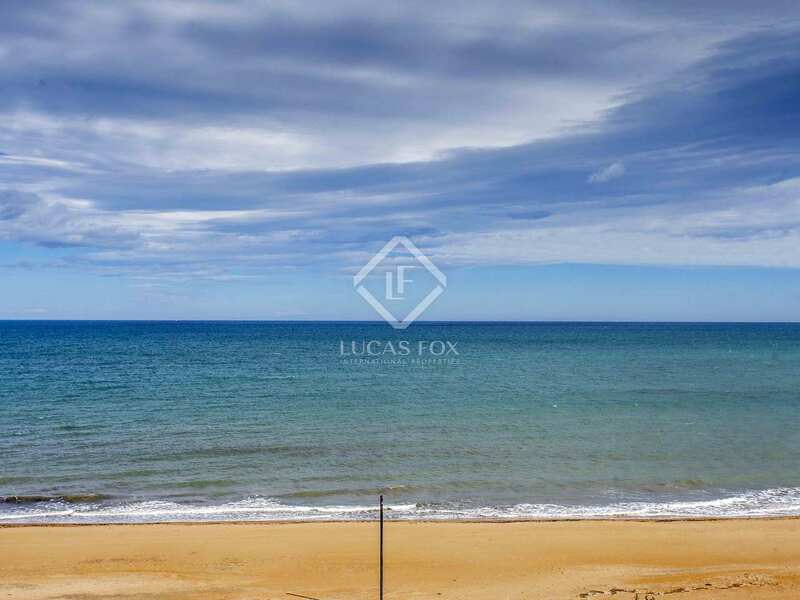 This property stands out for its large terrace of 100 m² with direct views of the sea. 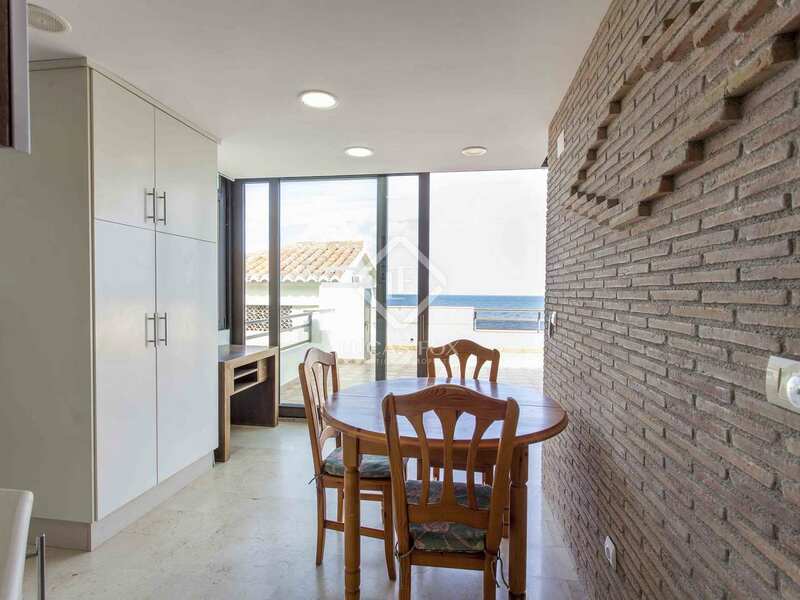 The terrace may be reached from the kitchen and the living room, adjacent to the kitchen. 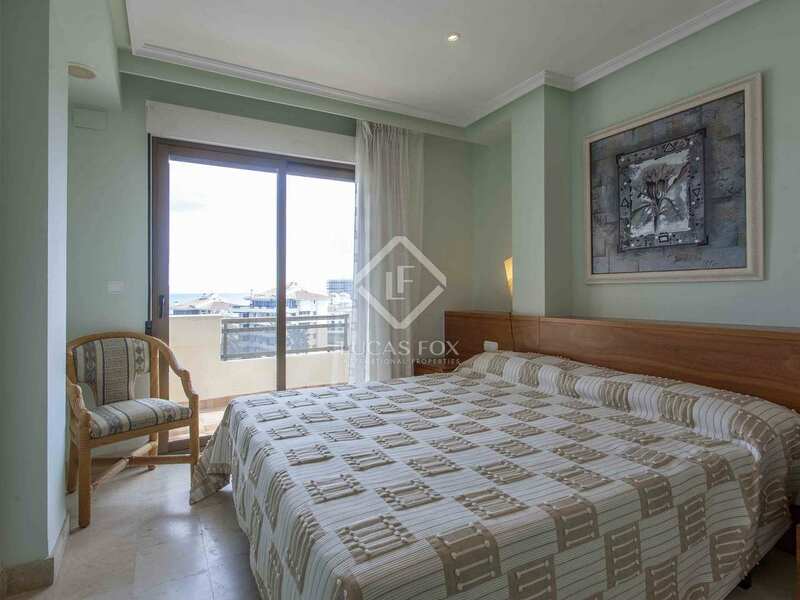 The 3 bedrooms are exterior facing and offer beautiful views. 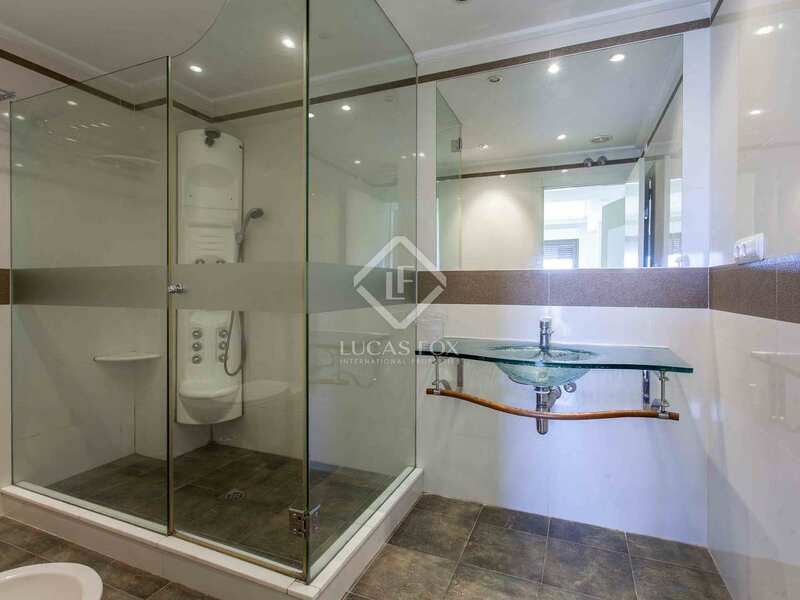 One of them has its own private bathroom and the other 2 share a second bathroom. 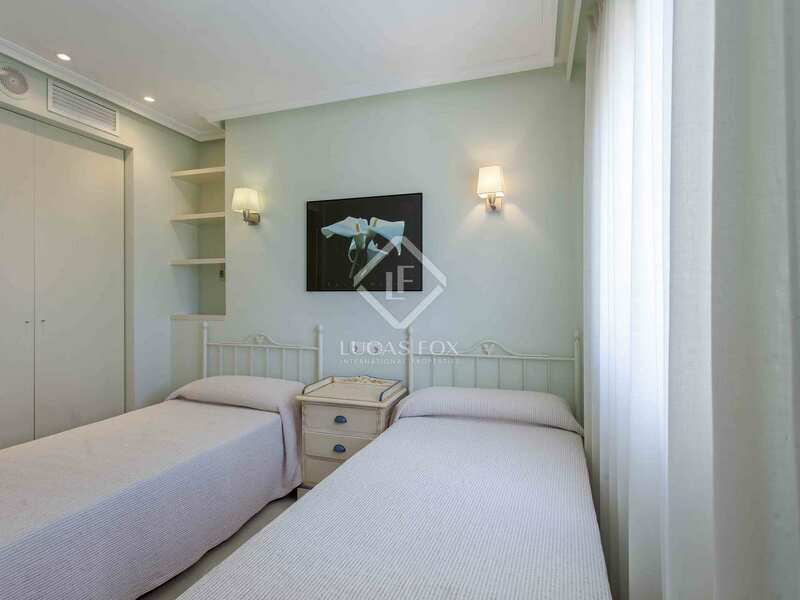 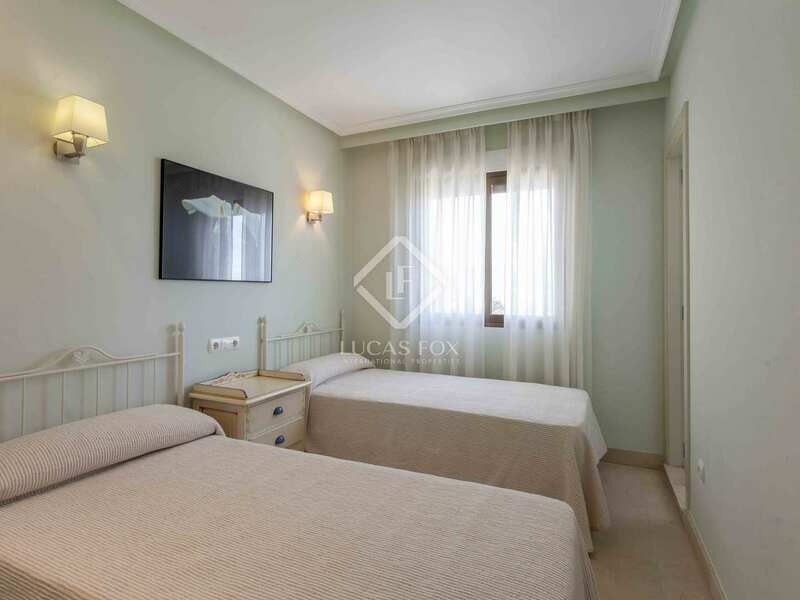 The property enjoys views of the beach, Montgó and all of Denia, and has double glazed windows, heating and air conditioning ducts. 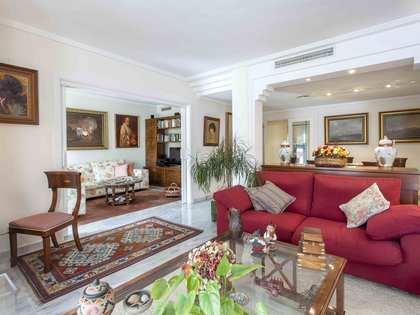 It would be ideal for families or investors. 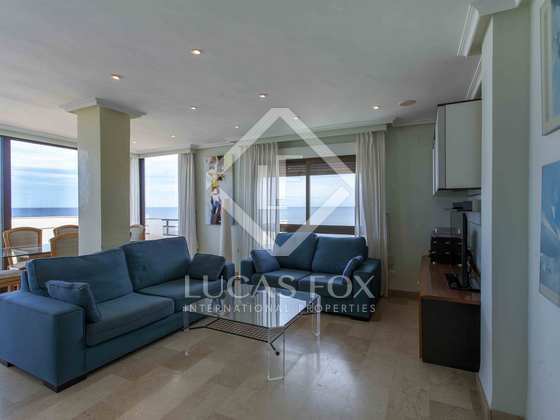 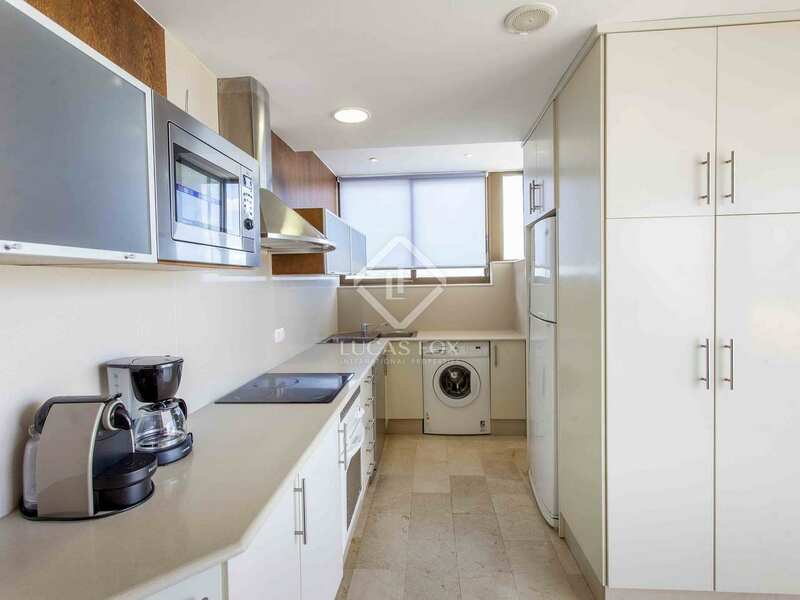 Penthouse located on the seafront on the road to Las Marinas, next to supermarkets, restaurants, pharmacies and public transport. 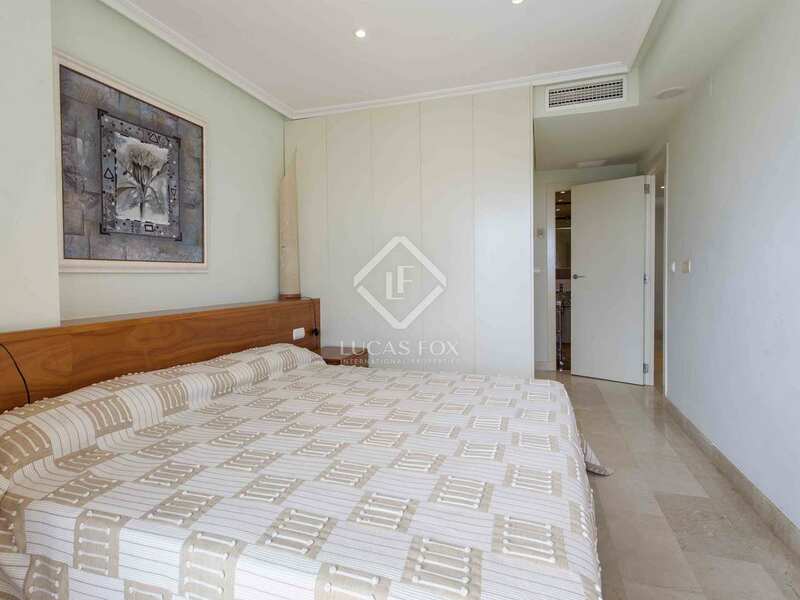 It is in a very exclusive urbanization with a large garden, 3 swimming pools, chiringuito, concierge service 24 hours, and private parking and security.